I have been named Esso. 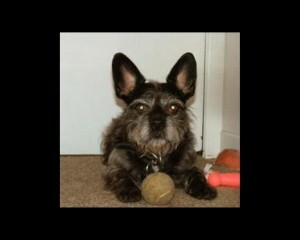 I am a 7 year old Boston/Lhasa Apso X and sweet as can be. Short-legged, but big on personality, I will charm your heart. 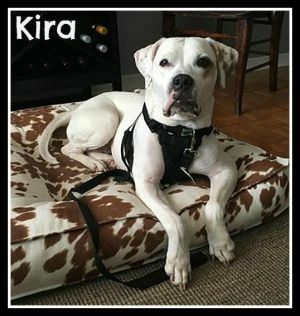 I am housetrained, good with kids, other dogs, cats and basically love people. I am not a big barker and can stay alone without getting in trouble. I am a runner, I have been found as a stray and not claimed, which is how I ended up with Sophie’s Dog Adoption. The minute you open the door, I’m out! So I’m looking for someone who will teach me to not bolt, or at least be able to keep a good eye on me! That’s my boy. Adopted Feb. 7th, 2009. Today is July 7th, 2015. Still going strong and the love of my life. Changed his name to Chico. He still bolts out the door but has never escaped us. Lol. Thank you Sophie and Isabelle. We love our little baby Chico Boy.